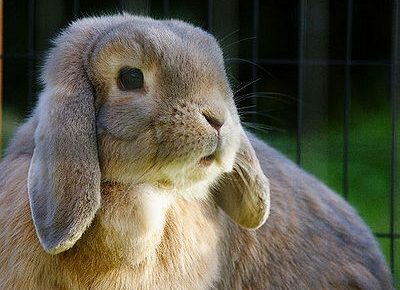 When choosing a pet rabbit, the first step is deciding on a breed. If you have children, consider a medium to large size breed. These rabbits will be better at coping if they are stressed by the children’s actions. If you have a cat in the house, it is best to get a rabbit the same size. A cat will try to hunt a smaller rabbit, but will get along with or ignore a larger one. Also consider whether you want to keep the rabbit indoors or outdoors. 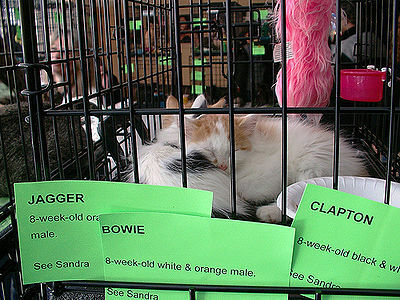 Some breeds are better suited to one or the other. Some breeds need more interaction and exercise; choose these if you have time and energy to devote to your rabbit. 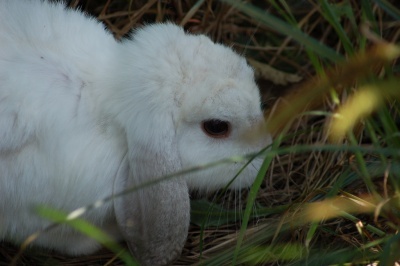 Rabbits sold in pet stores are often inbred or mistreated and this leads to illness. You are better off adopting a rabbit from a shelter or rescue, or going straight to a breeder. An older rabbit from a shelter may already be trained, spayed/neutered and socialized. When you adopt from a shelter you are giving an animal a second chance at life. Check that the rabbit you want to adopt is healthy. He shouldn’t be too fat or too thin. There should be no bald spots or inflamed skin, and the eyes should be bright and free of discharges. Teeth should meet properly at the front with the upper incisors going over the bottom (much like the human bite). 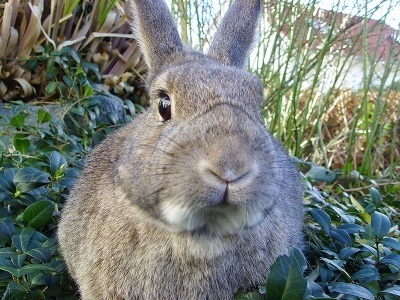 Rabbits with improper tooth position will require constant veterinary care. Nose and ears should be clean and dry without discharges. The rabbit should be breathing quietly. Check that droppings are firm and dry and that the rabbit’s living quarters are clean.